As ethics and compliance departments become more prominent in organizations around the globe, the Code of Conduct, widely considered the cornerstone of any E&C program, is shifting away from its original incarnation as a legal document written to “Require, Restrict, and Prevent” into something entirely different. At LRN, we see a modern, effective Code of Conduct as the essence and culture of a company, written to “Inspire, Guide, and Enable” employees. To mitigate risk and achieve desirable business outcomes by having meaningful and consistent influence on employee behaviors. 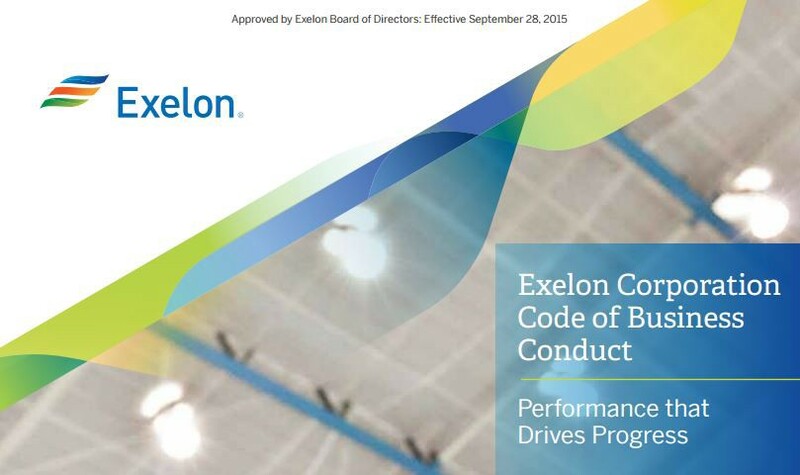 So, how well does your current Code of Conduct inspire, guide, enable, and achieve its ultimate goal? If employees in your organization are using it to help them make smart choices and avoid risk, you are part of a fortunate minority. Chances are, however, that your Code of Conduct is not fulfilling its potential as the foundational resource it could and should be…if it’s being used at all. Perhaps the time is right for your organization to look at its Code of Conduct and consider how it might serve everyone better. The global leaders doing this today aren’t approaching the document with the mindset of “revise”, but instead, aspiring to reinvent their Code of Conduct altogether. To put it another way, incremental change is giving way to transformative creation. If you’re curious why this transformation is happening, a brief history lesson should make things clear. The earliest Codes of Conduct, which predate the profession of Chief Compliance Officer or ethics & compliance departments, had lawyers’ fingerprints all over them. The code mantra echoing through corporate legal departments was decidedly defensive and had a very clear, restrictive, and preventative tone throughout. With the rise of the ethics and compliance (E&C) profession over the past 20 years, many in-house counsel have ceded responsibility for the Code of Conduct (and the E&C program as a whole) to dedicated departments, which have been successful in bringing other key stakeholders, besides Legal, into the tent — such as Human Resources, Communications, Learning & Development and others. As a result, Code of Conduct language has become more accessible, with a softer tone, formatted content, and thoughtful, engaging design replacing the previously monochrome text. Why is it, then, that so many Chief Ethics & Compliance Officers (CECOs) remain concerned their Code of Conduct is not having the desired impact? Are those concerns justified? Data from our annual E&C Effectiveness Survey suggests CECOs have declining confidence that employees are applying Code of Conduct standards on the job. In 2011, 64% of E&C leaders believed that employees applied their code’s provisions “most of the time.” By 2014, only 38% believed that to be true. While this declining confidence could reflect heightened expectations and greater realism on the part of CECOs, it points to a significant lack of code impact. 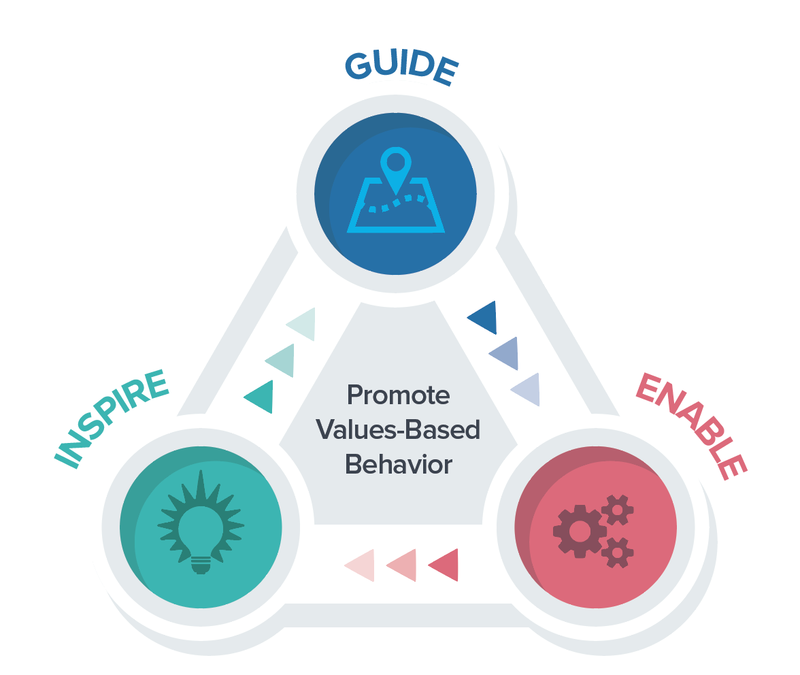 Another important trend we’ve observed over the past several years has been an increasing focus on values as a lever to influence behaviors and organizational culture. LRN’s Ethics & Compliance Program Effectiveness surveys in both 2014 and 2015 found an extremely strong correlation between an intentional focus on values and culture and high levels of program effectiveness. From the collapse of Enron and WorldCom to the global financial crisis, the LIBOR-fixing scandal, and recent events at Volkswagen, it has become abundantly clear that rules are a necessary but inadequate means to influence human behavior. While legal compliance and risk management remain critical in business, the data suggests that goals in these areas are achieved most effectively as outcomes of having established a corporate culture that fosters strongly principled and values-based behaviors. Values drive behaviors and behaviors drive outcomes. The trends we have noted are causing the emergence of a new generation of Codes of Conduct that are intrinsically values-based, more closely aligned with business context and goals, and designed to facilitate trust-based collaboration. The outcomes are more robust risk management, greater organizational agility and resilience, smarter decision making, and risk taking that drives innovation and stronger stakeholder relationships. Let’s review the three-pronged strategy giving life to these transformed, modern Codes of Conduct. Inspiration is infinitely more effective than coercion as a means of influencing human behavior, especially when the desired behavior is engaged, purposeful and coordinated effort in pursuit of common goals. Easier said than done, you might say. Well, an organization’s Code of Conduct can help, but only if we break the traditional compliance manual mold. We’re not suggesting that compliance with laws and company policies are not essential, but let’s give the people in our organizations some credit. Most of them are intelligent, well-intentioned, conscientious individuals who want to do the right thing and make a meaningful contribution. So let’s address the document to them, tailoring the content to be inspiring and helpful rather than paternalistic and defensive. Let’s win hearts and minds, not extract blind obedience. Preventing a small minority from wrecking the show with bad intentions or recklessness is unlikely to come from an enlightening perusal of the code — it’s unlikely to be priority reading for them — but rather from a broad-based effort to promote a corporate culture in which misconduct is both socially unacceptable and brought into the open quickly and decisively. Our research has found that an understanding of and commitment to a purpose-inspired mission is one of three fundamental enablers (with trust and shared values) that reduce misconduct, increase communication and drive superior business performance in other ways. 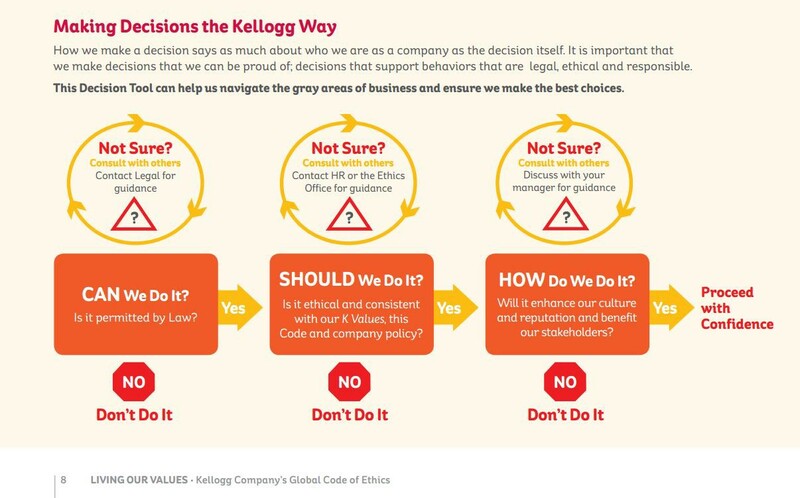 When a Code of Conduct provides proper context and explanation, employees can see how the right behaviors support a larger purpose. Since values drive behaviors, the importance of getting this right cannot be overstated. 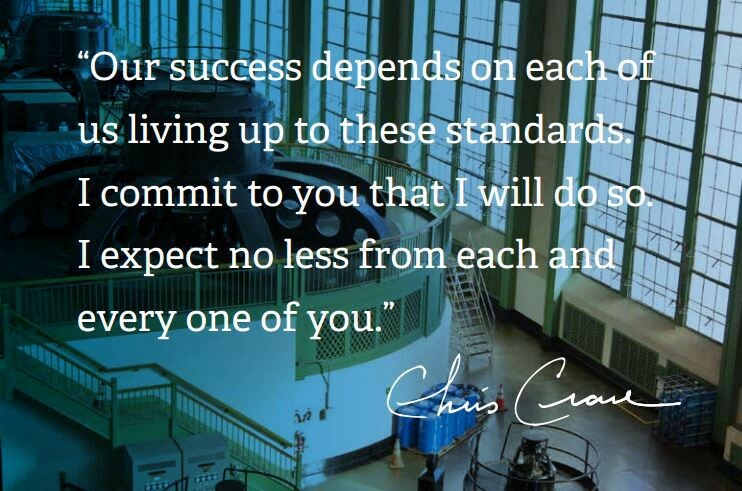 Elevated behaviors add up to a culture of principled performance. Given the Code of Conduct’s overarching goal to influence behaviors in a positive way, the clarity and adequacy of behavioral guidance are pivotal. It’s surprising, therefore, how many of these documents appear out of touch with the context and needs of the employees it attempts to connect with. Some fall short by offering guidance that is aspirational, yet too generalized for practical, on-the-job applications, while others may give very specific direction, yet lack context and broad-based applicability. A Code of Conduct is not a collection of policies, but a bridge between an organization’s values and its policies. Too many codes are light on context, losing opportunities to establish their relevance and utility. What employees need, and want to understand, is how following the Code of Conduct helps and protects the business, makes their jobs easier, and strengthens the organization's most important relationships. The Code of Conduct should not only identify risks and potential pitfalls employees need to be aware of; it should show them how to be proactive in recognizing them, addressing them, and seeking help when needed early enough to make a difference. Putting the values written in a Code of Conduct into practice is how an organization achieves its purpose and goals the right way. 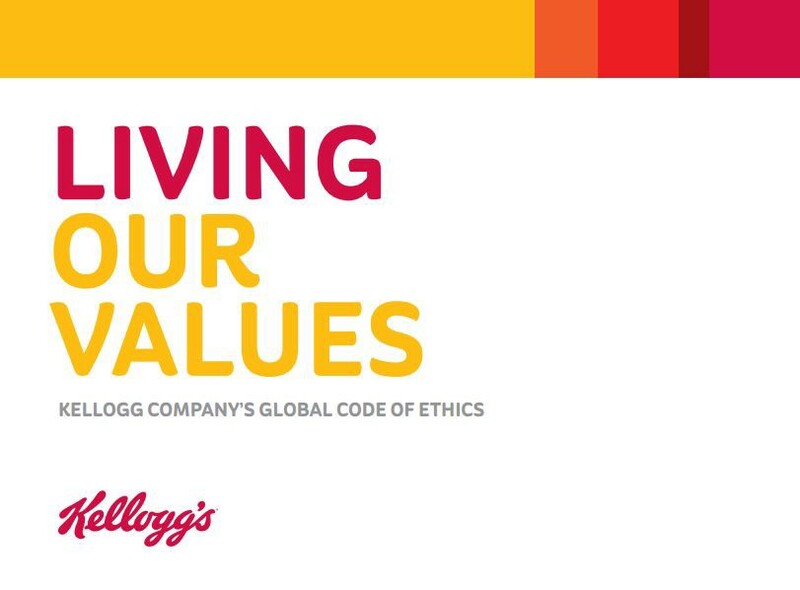 Make sure your Code of Conduct explains what these values look like in action and across a full range of business activities, locations, and responsibilities. The Codes of Conduct that collect dust in desk drawers or on seldom visited intranet sites don’t fail at achieving their goal because employees don’t care about doing the right thing. The truth is that many employees want to do the right thing but need more help than their existing Code of Conduct can give them. If something is useful, it will be used, and frankly, a 50-page document written in legalese isn’t useful to most of the employees struggling to make sense of it. A Code of Conduct can only establish itself as a relevant tool that provides utility when it is engaging and loaded with actionable, easy to digest content that is shared with a thoughtful, agile strategy that brings the content alive. The key to ensuring that a Code of Conduct is relevant and useful to the business at large — rather than an after-the-fact justification for disciplinary action — is to elicit broad and appropriate input during the creation process. By involving leaders, supervisors, and stakeholders in the early stages, you won’t just ensure their commitment and participation when it’s time to embed the code throughout the organization, but you’ll fully understand and address information needs, delivery preferences, and communication opportunities for employees. In the past, one might say that Codes of Conduct have existed in the peripheral vision of employees. They’re aware of it, but their interaction with it is mostly limited to an annual certification process. A Code of Conduct that is created and cascaded according to the Inspire/Guide/Enable strategy can be hard to ignore and may even become a source of organizational pride. When managers are evaluated on whether they to take opportunities to highlight the Code of Conduct and the issues it covers — and are given the resources and support to do so — the document rapidly gains profile and currency. A growing, globally distributed workforce needs practical, easily accessible resources to navigate ethics and compliance issues. That means a Code of Conduct that can be consumed on mobile devices. We are seeing a transformation from static documents to dynamic experiences that integrate multiple guidance resources and educational assets. An effective, values-based code of conduct is foundational to a culture of integrity — not simply because of what it contains, but also because of how it has been created and communicated. Leading organizations recognize they have an opportunity, much larger than a document, to win hearts and minds and help their people succeed. 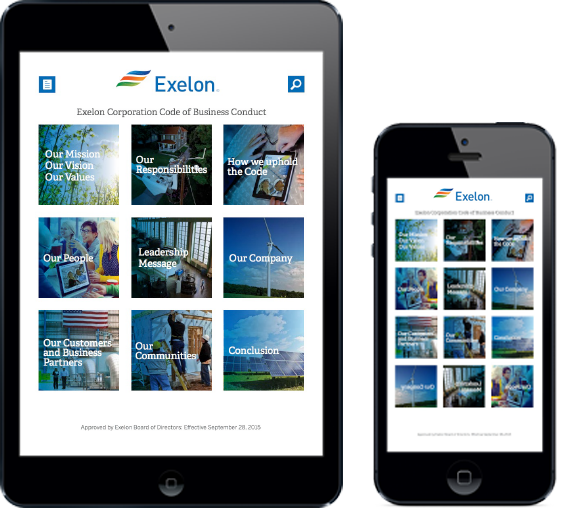 For guidance on how your organization can transform its Code of Conduct into an engaging, mobile-ready document that represents your values and culture, visit our website or comment on this post.